Randy and I made our first vintage together in 2010 when our friends, Jesus Velasquez and Patricia Greer offered to sell us a ton of grapes from their beautiful Waterhorse Ridge Vineyard in Fort Ross-Seaview. Randy was looking at his 9th vintage of California wine production but had never made his own wine. I had recently moved to California from Seattle where I had spent fifteen years moonlighting in a wine shop while working as a professional dancer. 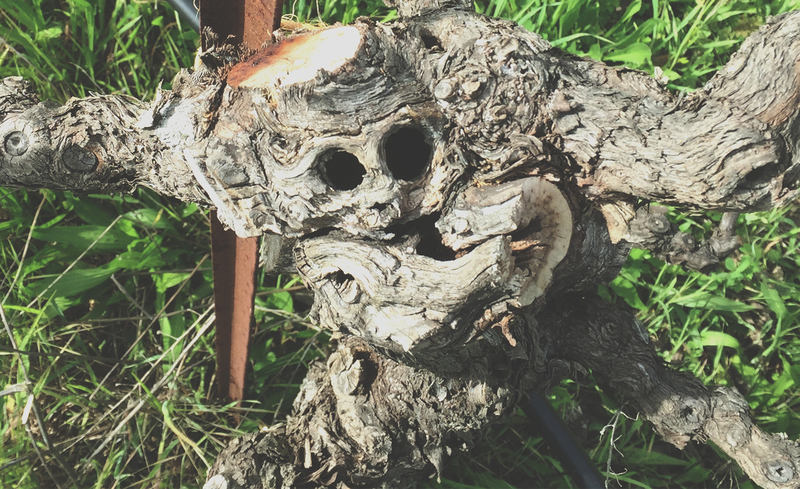 We knew that Jesus and Patricia were excellent farmers and were intrigued by the idea of the Bordeaux varieties they grow in an area considered “too cold” to grow anything but high-priced Pinot Noir. So, we tightened our belts, crossed out fingers and bought a ton of grapes. For the first two years, we made our wine in a barn in the hamlet of Duncan’s Mills near the mouth of the Russian River. This was guerrilla wine making at its finest. With no hot water, a couple of borrowed bins, an ancient basket press and lots of cows giving unsolicited advice, we relied on intuition and taste to decide when fermentations were complete, how long to leave the wine in barrel and when to bottle it. We agreed from the start that we would let the wine ferment naturally and that the only addition we would make would be sulfur in small quantities as needed. We also agreed that we wanted to make wine that was friendly, easy and expressed the laidback attitude of our home, Sonoma County. Fast-forward three years and our dream to have our own wine production company, Unturned Stone Productions, was finally realized in the Spring of 2015. While it was difficult to leave our bootleg operation in Duncan’s Mills, we now make our wine in a bonded winery and have grown our production to include wines from both Sonoma and Mendocino Counties. We have stuck to our original principles, however, and still only purchase organically farmed fruit, do all our own work in the winery and keep to the tenets of natural winemaking. We also honor and value the work of the farmers that makes each of the vineyards we buy fruit from unique, and bottle all of our wines as vineyard designates. It has been an incredible journey and we invite you to join us. Please enjoy a glass of Unturned Stone Productions wine with your next meal!